In an age where we are so used to technology smashing through its own boundaries all the time, it takes quite something for technology to take a revolutionary leap instead of an evolutionary one. It takes quite something for a technology to pack some “WOW” punch into its results. Udupi – a small, tier-3 temple town – isn’t particularly the first place you would think of when you think of technology. 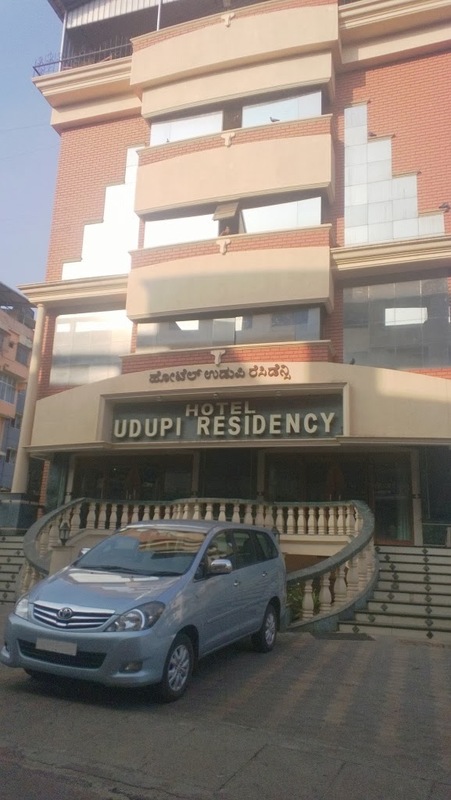 Udupi Residency is a somewhat nondescript hotel in the town of Udupi. I have been using this hotel during my not-infrequent trips to Udupi for over 8 years now. It’s certainly not a hotel that I would pick if I were vacationing. Pick any parameter that you would want to rate a hotel on, and I might give it a 2.5 in my most generous moments. Yet, ask me to pick a hotel in Udupi for a night or two that is family-friendly, conveniently-located, economical, offers good service and all I want the room for is to sleep at night and get ready in the morning, and I will unhesitatingly pick this hotel. Then again, ask me to list the hotels that have wowed me with effective use of customer-delighting technology and Udupi Residency wouldn’t have figured in the top-5,000. Heck, it doesn’t even have an internet connection for guests, let alone WiFi. I was therefore pleasantly surprised by my recent experience – and somewhat taken aback by the consequent realization – of how Udupi Residency has leveraged a very sophisticated biometrics-based loyalty recognition technology at all levels. Starting with the watchman who helped me park. He greeted my effusively as I got out of the car and even apologized that he didn’t realize “it was me”. I stopped dead in my tracks, dumbfounded. It was only the first of the surprises in store for me, though. It was more than 8 months since I had last stayed at the hotel and I didn’t expect that anything had changed. But the receptionist, the bell-boys, the waiters in the in-house restaurant and the room-service boys were all equipped with this powerful solution and readily flashed me a “hello-again” smile. What really took the cake – or served as the icing on it if you may – was at breakfast the next morning. The bashful morning-shift waiter gave me a “hey-its-you-again” smile and when I asked for the menu, he waved off my request, saying “Same menu, saar. Nothing new” instead of handing me the menu. Early in my professional career, I was closely involved in building a fairly intricate and powerful loyalty and rewards management engine. Among other complexities, one of the particularly challenging features that we were proud of was the deduplication algorithm we were running. And here I was in Udupi seeing a far more sophisticated "deduplication" technology in action. Without a single line of code. But when it finally did, I was left fascinated at how the most powerful and complex technologies we have today pale in comparison to the oldest biometric technology in the world: old-fashioned facial recognition by human beings. The most powerful loyalty management software in the world. Before my very eyes, a year has passed! At this time last year, I had just woken up with an overwhelming sense of "melancholy anticipation" as my wife and I prepared to turn the page on what has clearly been the most exhilarating chapter of our lives. Notwithstanding our kind friends who stopped by to help (one of whom just took the day off impromptu in order to help us! ), the tasks for the day ahead were as daunting as they were trivial: daunting in terms of the sheer volume of pending work, and yet seeming so trivial in comparison to the enormous leap of faith we were about to take and the uncertainties - of sorts - that lay ahead. As I look back, I am bemused at the paradoxes that have defined the year - the very things we cherished so much turned out to be the source of our pain: the very friends with whom we forged the strongest bonds were the very cause of our relocation becoming so difficult! The very values, practices and mindsets that gave us our foundation as children and then as adults turned out to be at loggerheads with what lay ahead, as we grappled with a transition that spanned geographies and professions and a transition that had to bridge generation gaps and lifestyle-whitespaces. As I lay suspended between yesterday and tomorrow, it is perhaps time to stop being fixated on the reflection in the mirror and focus on what lies ahead. It is perhaps time to look "through the looking glass". 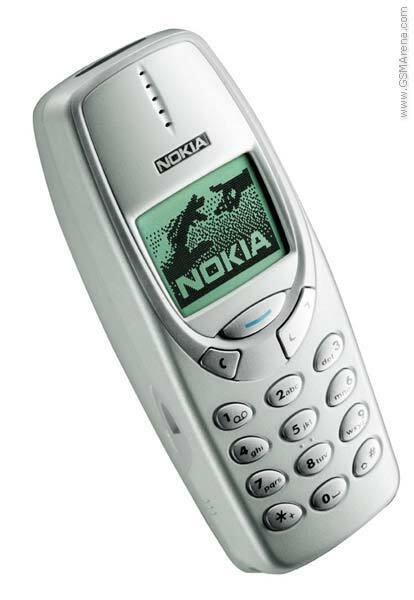 I have been a loyal Nokia user for the last 12 years, ever since I starting using mobile phones - with the Nokia 3310 (the first ever product incidentally, which I have heard of being killed by its own manufacturer because it was cannibalizing the sales of other products). In the beginning, it was the intuitiveness and standardization - of UI, charger and accessories - that won me over. Even though Nokia clearly missed the bus around 2005-2006 - and probably the whole point too - I continued to be an ardent fan of Nokia primarily because of the ruggedness of their phones. After briefly eloping with Sony and HTC for a couple of years, I returned home to Nokia in 2008 even at the peak of doomsday predictions pouring in from all quarters. Your Nokia is always returned! The upside of the scorn heaped upon me for my open and stubborn loyalty for this then-pronounced-dead brand, came in the form of safety: I could leave my phone and bluetooth headset lying around anywhere in the office and at parties without fear of theft or loss: not only was there no one who cared to "keep a Nokia for themselves", but also, everyone knew it was mine so it was always returned to me! Over and above all the falls my various Nokia handsets have survived, the most startling experience with Nokia's ruggedness came late in 2011 when I accidentally drove the edge of a tyre of my 4,500-lb SUV over my BH-607 bluetooth headset. The collage below tells you the story of what happened to it - viz., almost nothing! Of course, it isn't really usable, but it still works! Story of a BH-607 run over by a 4,500-lb SUV - it survived! While the Lumia series - most recently, the 920 - seems to have raised a flicker of hope, doomsday predictions haven't totally disappeared. And yet, that does not seem to have deterred the spirit of the company in keeping at its goal. However, what really bowled me over was my E-71 battery's performance in the last 72 hours - I was travelling and forgot to carry my charger. Unlike in the days gone by, Nokia chargers are hard to find and I had to literally reach out through my network to pull strings to get a Nokia charger. While I did get a charger, the morning I was to travel back, at 7AM, the phone began beeping "Low Battery". Given that the phone and battery are almost 3.5+ years old I knew the battery was already on an extended lease of life. I had my fingers crossed even as I was frantically communicating over SMS, calls and WhatsApp with friends I had to meet that morning.Despite its incessant protests all morning, it was only at 2PM just as I was boarding my flight, that the battery finally gave up. 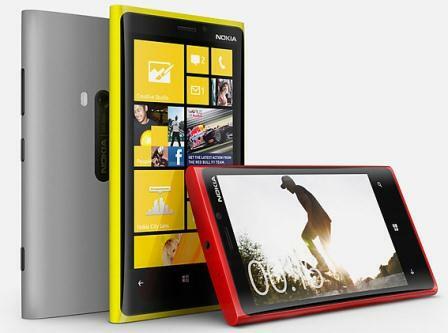 Nokia is dead! Long Live Nokia!